Variety announced last week that Clay Aiken will return to Broadway in September, once again playing Sir Robin in Monty Python’s Spamalot. The article noted that the show had seen a great uptick in sales during his run and an appreciable decline when he left. Clay impressed the critics as well as the box office with two members of the New York Drama Critics giving him highly favorable reviews. Clay has referred to himself as entertainer a lot this year and his new official biography notes this as well. While I am impatient to hear his latest album (On My Way Here) in concert, where a great voice will be intertwined with his enviable spontaneous wit, I can also see this as a good move. So, what’s next? Are we going to see Clay on TV while he’s in New York? I sure hope so. A number of shows are filmed in New York from Law and Order to 30Rock. I once asked him (through a friend who won a Meet and Greet) if he wanted to play a small part in a movie or a 3-4 episode arc in a TV drama. He chose the TV drama if he could play a villain. Are you listening, NBC? Then there is Saturday Night Live. How I would love to see him hosting that show, the quick costume changes and different characters of Spamalot have to be harder than anything the SNL writers could throw at him. I do believe the night he was the musical guest in 2003, that his show had the highest or one of the highest ratings for the SNL season. Perhaps he’s looking at movie scripts, since he has impressed the very talented, very discerning Mike Nichols. There hasn’t been any more word on the movie version of Spamalot since 2006, but I’d love it if Eric Idle decided to follow through and bring that to the big screen. As talented as David Hyde Pierce is, I think he’s too old for the part. Other musicals rumored to be in development include Jesus Christ Superstar and My Fair Lady. I can’t even think about Clay in Jesus Christ Superstar because I think he’s too perfect for it and I would be highly disappointed if he didn’t at least get a shot. Yes, there are some screaming rocker parts but he proved here in 2004, that he can scream it out with the best of them. Check it out at around 2:20 of this video. The part of Freddy in My Fair Lady would be OK, he’s proven he can do a credible British accent but I find the music a little too corny for my taste, especially On The Street Where You Live. I think he would do well starting off in a small movie role and working his way up to a larger one. And since I want it all, naturally he should sing the main songs from the album on the Soundtrack. Maybe they could remake The Bodyguard with a guy instead of Whitney Houston and a female bodyguard. After all, his new son Parker’s Uncle David produced that Soundtrack album. I know that some fans are feeling uncertain about his continuing to do some acting before another tour. I think it is smart on his part for now. The music industry is in disarray, RCA is going through many changes both as a division with a change at the top and as a corporation as Sony bought back its shares from BMG. Those singers who can only sing have limited career opportunities. The fact that Clay has proven to be very adept at comedic acting and can put “butts in seats” makes this a wise and I hope, inspired move. To read Clay’s successful and varied biography, visit his official fanclub site here. 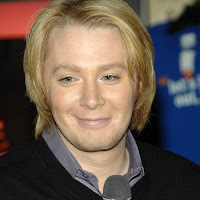 Back in January, I wrote a blog on the eve of Clay Aiken’s Broadway debut. I called it Destiny’s Child because so much of what happened in his life seemed to follow a clear path leading up to that moment. It was probably one of the most enjoyable blogs that I’ve ever written. Today, a new Destiny’s child was born. Parker Foster Aiken made his appearance on 8/8/08 and to top it off, Clay and Jaymes Foster became parents of young Master Parker at 8:08 in the morning. The reason this child is Destiny is how his mom and dad met. In this video interview talking about the creation of his new (and phenomenal) album, On My Way Here, Clay talks about hiring executive producers and meeting Jaymes. He tells the story about listening to hundreds of demos and finding one song that touched him. He felt that he and Jaymes connected in their first interview and wanted to bring her back for a second one. She came to the interview and of the likely thousands of songs she listens to as an A&R expert (artists and repertoire, those that pick the songs), she brought the same song. Clay says in this interview at that moment he felt “this is the one”. At the time, it was simply about making music together. 3.5 years later it was about making a baby together. 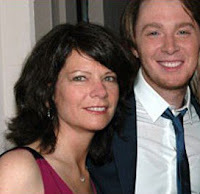 I think that meeting and that song were no coincidence any more than it was a coincidence that he was steered toward teaching children with autism by a smart and astute teacher, which eventually led him to Diane Bubel who pushed him to American Idol. 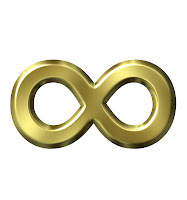 Infinity. That is how long the love for this child will last. That is how long I hope Clay’s message of hope for all children, disabled, non-disabled, rich, poor, sick or oppressed, resonates. Eight is important in the world of music and this child has a great musical heritage throughout the Aiken and Foster families. Eight notes exist between octaves. According to Wikipedia, in Astrology eight symbolized the perfectioning of incoming planetary energy. Skybar22 has blogged here about the incredible amount of planetary energy that was in Clay’s chart on his birth. According to numerology expert Daniel Hardt "Eight is a very powerful number. It's a number of mastery," says Hardt of Life Path Numerology in Indianapolis, Ind. "It's a number of being in control." Oh boy. Poor Jaymes, the two men in her life are control freaks. Something tells me Parker will win a lot of the early battles but Jaymes seems to be a balancing influence for Clay. Perhaps she can have a little more influence when it comes to seeing him in more low rider jeans. He does like to tease her though, as we saw in a 2006 Christmas concert. Last winter, Clay performed on his annual Christmas tour and he ended the first half with a song he had never sung in the previous 3 Joyful Noise tours. It is called Welcome to our World. This performance is from Albany, NY. He was very emotional about it that night. In hindsight, given the timing of the baby, I wonder if he and Jaymes found out that Parker was coming. Welcome to our World. That’s the title he used today when he blogged to the fanclub about Parker’s arrival. I think of Kenny Loggins’ beautiful song and I hope Clay sings it on his next tour. How about an acoustic version, Clay? Just like Kenny does here. And just because, here’s the song that started as a job interview and ended up as Destiny. And I think this destiny can have dual US and Canadian citizenship! You can find original Destiny’s Child blog here.